My son eats like a champion – a heavy weight, sumo wrestler champion. I was lucky (and diligent enough) to give him breast milk, but at five months old he suddenly reverted to his newborn habits – waking up numerous times a night and eating more than a growth spurt stricken teenage boy. He intently watched me eat, grabbing for whatever I was attempting scarf down. IT WAS TIME – Time to start food! With my first two babies we did a majority of packaged baby food -mostly because I was working/pregnant and didn’t have the time or energy for showers, let alone homemade baby food. Instead if making my 5-month-old get a job to pay for his daily Thanksgiving feast, I made a decision I was going to make all his food this time around. A lot had changed since my first child needed spoon fed – I wasn’t working full time, I wasn’t pregnant, and I had a little “parenting” experience under my belt. 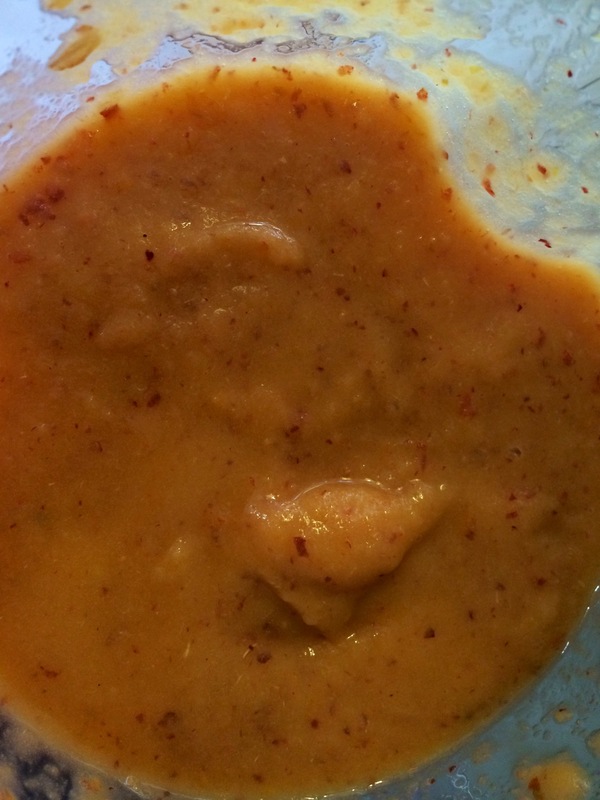 Making baby food seemed like an impossible and extremely overwhelming task at first. The very thought of making baby food was daunting and for some reason I had to muster up courage in order to make this DIY attempt! But here I am now – a self proclaimed baby food maker. 2. 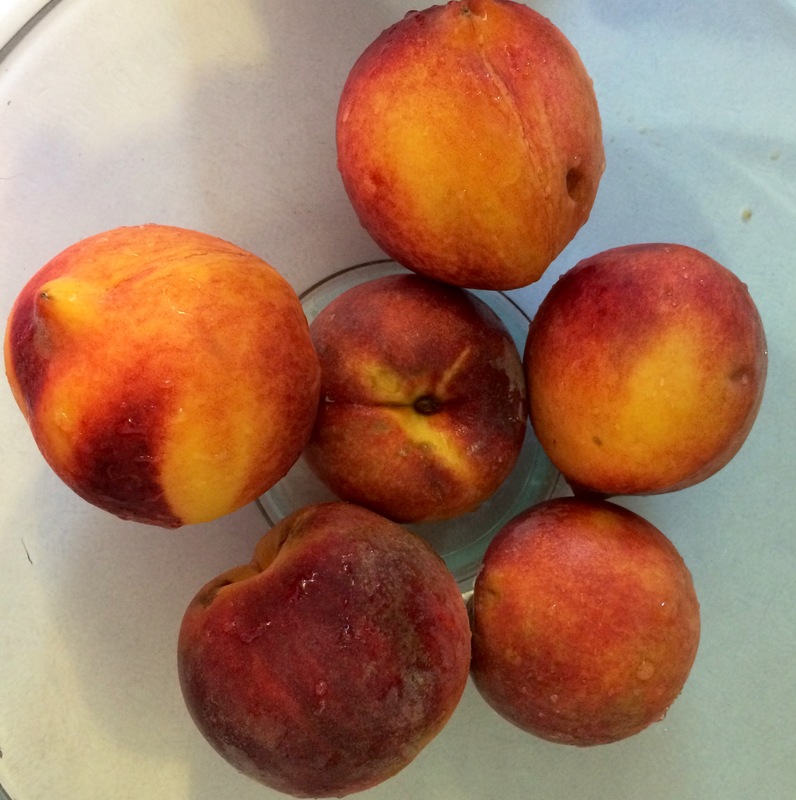 This batch is obviously peaches. I spent about $9 on these, but had to throw 2 out because they weren’t was fresh as I wanted after I cut them open. 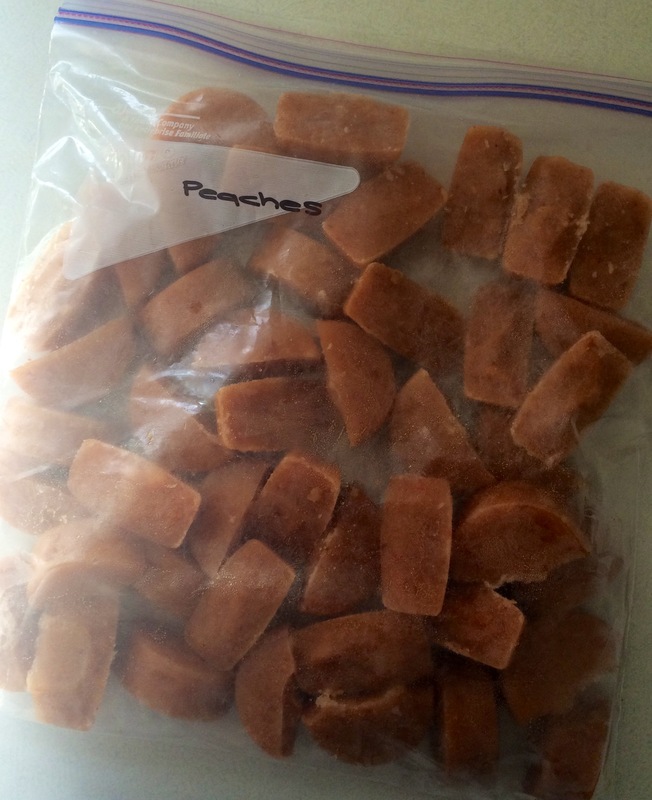 When I went to make my next batch, the store was out of fresh peaches so I bought a frozen bag and let it thaw (you can do the same with other fruits and veggies). 3. 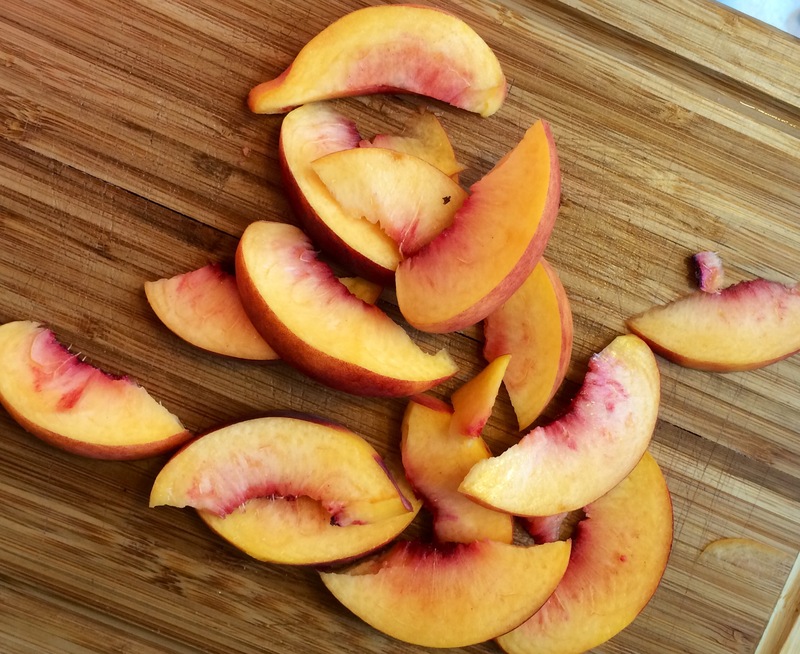 I cut the peaches into small chunks (skin and all) so they would blend smoother and faster. When I am preparing vegetables I boil them first until they are soft, then cut them into smaller pieces. (I’m sure someone will suggest a more earthy way, but this way works for me). until everything is in your blender. I used 3.5-4.5 oz of breastmilk in this batch. 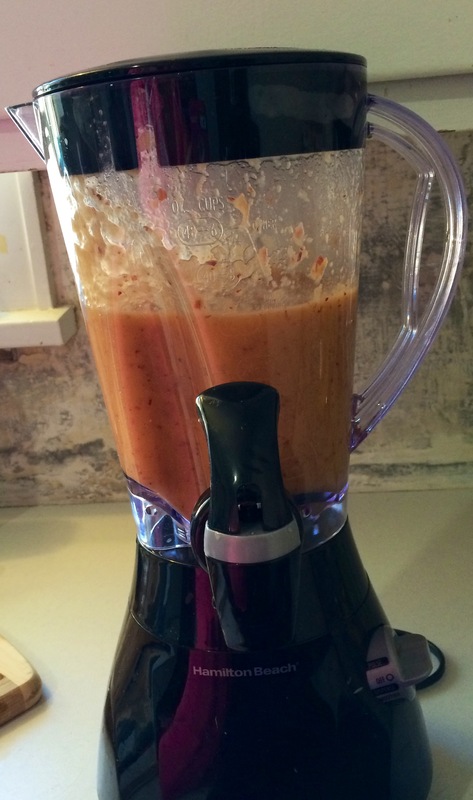 The goal is to blend whatever you are making similar to the consistency of baby food – a little thicker is okay too! With the frozen foods they should be soft enough after thawing that they will not need to be cut. 5. Get some ice cube trays! I got mine at the dollar store for obvious money savings reasons. I bought a bunch so I could make big batches at a time! That’s the easiest way to do it! 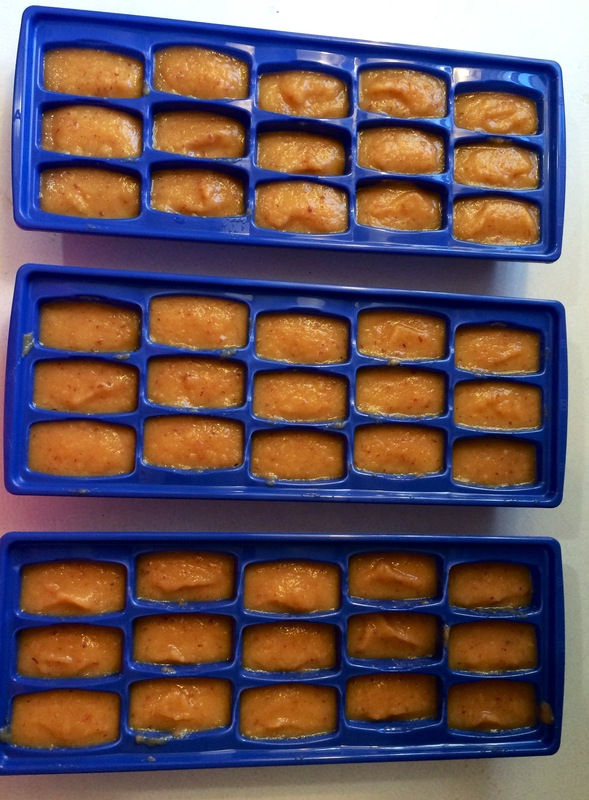 Take a spoon and put your freshly blended baby food into the ice cube trays. They will slightly expand so fill accordingly. 6. Place your repurposed ice cube trays in the freezer overnight. (I don’t cover mine). 7. The next day I grab a big Ziploc bag, write what I made, and twist all my perfectly portioned baby food cubes into the bag. 8. All the bags can store flat. When it comes time for my son to eat, I grab however many cubes he wants, put them in a bowl, and microwave them until they are thawed. Make sure to stir the food well and make sure there are no hotspots! (If the food is runny I add a little baby rice). Occasionally, I put the frozen cubes in the refrigerator the night before so they are closer to thawed (this rarely happens as my goal every day is just to survive). 9. You can mix different fruits and veggies! 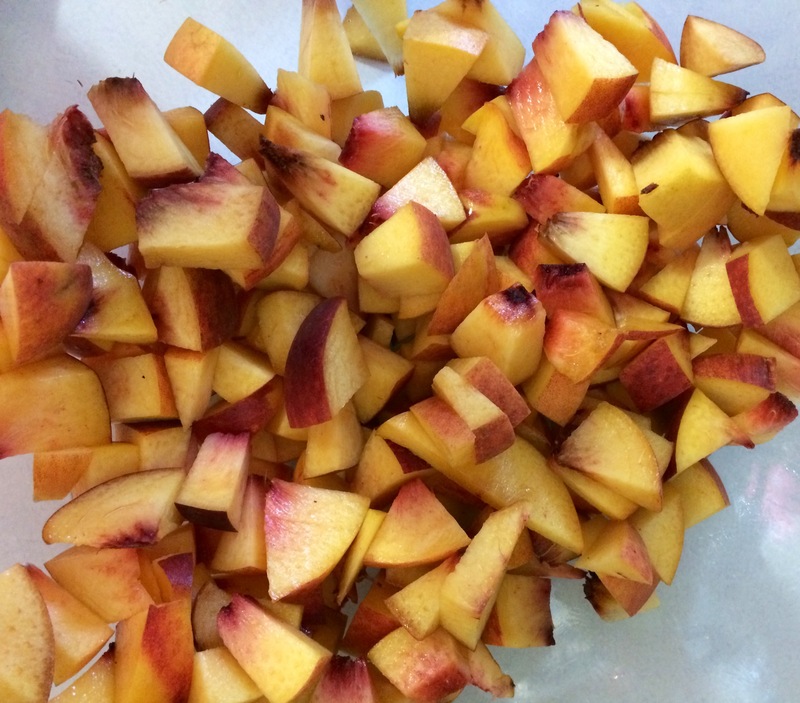 Or you can make a bunch or individual fruits/veggies and then mix them when you heat them up for your baby! Not only is this a healthier option for your baby but in the end it’s better financially! And it doesn’t take that much time to make a huge batch. No … I’m not one of those weird granola moms, we’ve given him some pre made baby food. This just works for us for many different reasons! Physical and financial health for the baby and the family! Besides, I think there are laws preventing a heavy eating, sumo wrestler, 5 month old from working – even if they are eating you out of house and home!